Mohonk’s ski trails are primarily carriage roads enjoyed by guests of the Mohonk Mountain House. Parking is at Spring Farm or West Trapp Trail heads, or at the parking lot by the Mohonk gatehouse at the summit of Mountain Rest Road. Members of Mohonk Preserve ski free and park free at Spring Farm or West Trapps. To park at Mohonk Mountain House’s gatehouse, preserve members pay a $10.00 fee (winter 2011-2012). Non-preserve members will pay a higher fee at the gate house and will be assessed a fee at the other two trail heads. Most of the grades are gentle but there are a couple of steep climbs. On a clear day, there are stupendous views north to the Catskills and south to NYC. 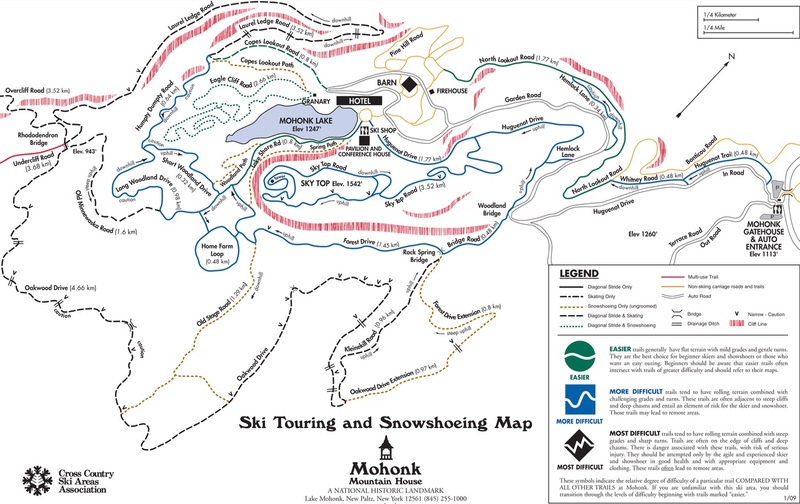 The trails on the top map are all Mohonk Mountain House property. 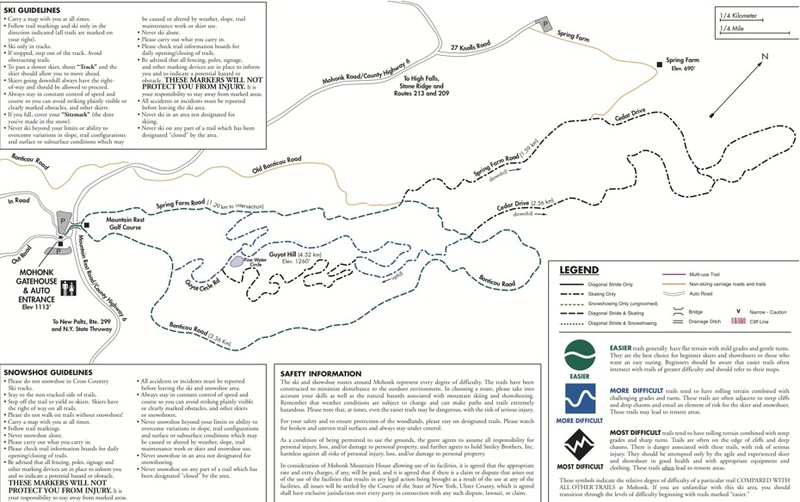 The trails on the lower map are Mohonk Preserve property.